It is said that one of the aspects of great stories are their timelessness. When I was in college studying theatre there were entire sections of study devoted to Greek tragedies like Antigone and Oedipus Rex and, of course, the complete works of William Shakespeare. It was the late 20th century and in many classes I spent more time studying plays that were hundreds and thousands of years old than contemporary works. As I read ancient stories like the story of David we’re wading through now, I can’t help but hear echoes of other timeless stories and make connections between them. Power plays for the throne, human failures, and the intrigue of family rivalries are the stuff of which classic stories are made. 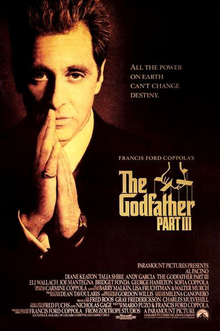 Today as I was reading the chapter, I thought of The Godfather films and the saga of the Corleone family, which is a timeless classic in its own right. As they led their mafia family, Vito and Michael Corleone always tried to have a guy, loyal to the family, on the inside of a rival family or faction. Luca Brasi dies while trying to convince the Tataglias that he wants to betray Don Corleone. Michael sends his brother Fredo to Las Vegas which not only serves to get Fredo out of his sight but also plants his own brother inside of an operation he doesn’t trust. A few days ago we read that the last thing that King David did before fleeing the palace was to plant his man, Hushai, inside of Absalom’s inner circle. It proved to be a cunning move. Absalom took the bait hook, line and sinker. In today’s chapter, David’s scheme comes to fruition and Hushai sets the hook which will be the undoing of Absalom. Absalom was a cunning young man and had planned his moves against his brothers and father well. In the end, however, he underestimated all the wisdom and experience his father had gathered while running for his life in enemy territory for many years. In addition, Absalom’s self-seeking motivation was about revenge, anger, hatred, and personal power. The repentant David may have been facing the tragic consequences of his own failings, but his heart was still humble before God. In The Godfather III, Michael Corleone’s son confronts his father about the “bad memories” he has of his family and childhood. “Every family has bad memories,” Michael replies. And, so they do. Another appeal of great stories are the connections we make to our own lives and experiences. We are all part of the human experience. Even in my own family there are true tales of tragedy and intrigue. Times change, but people are people and our common human flaws source similar tales in our own lives and families. We each play our part in the story. The cool thing is that we get to choose our character and influence the story with our daily choices of word, relationships, and deeds. How will I choose to influence my story, and the story of my family, today? If Fredo Corleone ruled Venezuela . . . or does he? 7 “Well,” Hushai replied to Absalom, “this time Ahithophel has made a mistake……..14 Then Absalom and all the men of Israel said, “Hushai’s advice is better than Ahithophel’s.” For the Lord had determined to defeat the counsel of Ahithophel, which really was the better plan, so that he could bring disaster on Absalom! Who are your confidants? Who do you inquire of when key decisions need to be made. The intrigue of today’s reading isn’t so much that Hushai told Absalom that his own advice was better than Ahithophel’s. Rather, it’s that Absalom fell for it! Hushai was an insider and quickly relayed a message to David that Absalom was after him. The key is the last statement. The Lord had determined…….I’m fascinated, the older I get, to understand the way in which God worked His plan out in the Message. The Lord had determined to defeat the counsel of Ahithophel….to the point of suicide?